In this hardcover edition, the characters of Batman (Bruce Wayne), Robin (Richard Grayson), and Catwoman (Selina Kyle) are imaginatively reinvented so that their lives and relationships are intertwined with both familiar and foreign facets. 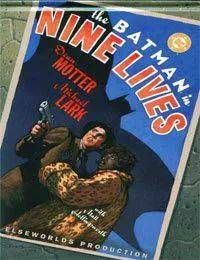 Investigating reports of a giant alligator living in the Gotham reservoir, the vigilante known as the Bat-Man discovers the dead body of his ex-girlfriend, Selina Kyle. Now he and Detective Richard Grayson most uncover how Selina died before another victim is claimed. This gripping tale is told in a sideways landscape format to better showcase the graphic, cinematic style of the art.